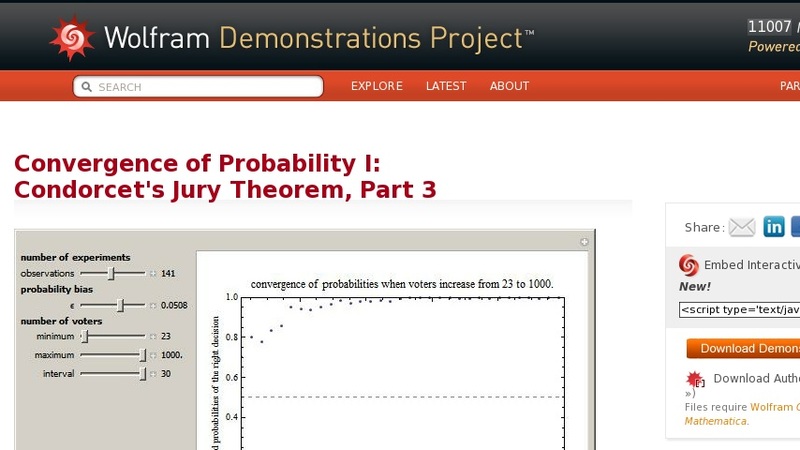 This is the third of five Demonstrations about Condorcet's jury theorem (1785). Here we show how the probability of the right decision by majority voting converges to 1 as the number of voters tends to infinity. For the given control settings, several simulated votes (the number determined by the observations slider) are taken, and the fraction of right decisions is measured on the vertical axis.